A project that has been on the backburner for quite a while - finally decided it needed a bit of a push forward. Very timely to celebrate 10+ years of being a Bare Knuckle dealer (and fan) as it has their rather wonderful 10th Anniversary set on it. We used a set of the raphtech atio tuners too, which have different ratio for each string that allows the strings to all be tuned at the same rate - very useful for the otherwise twitchy G string and low E.
This is one of apair of guitars came about after hearing someone playing Jazz on a Korina V we made, and thinking it was the best jazz tone we'd ever heard, in spite of the shape being a bit too rock for some Jazz players. So we set about making a couple of Lion cubs with all the same timbers as the so cool sounding Flying V.
We did add a Walnut fronts to give a nice refined look too. To be fair these sound great for rock, blues pop etc, but they have a smooth top end that is so cool for clean chord passages. We are taking the plunge and raising the bar again with our Spyder Basses. We have decided to pursue getting the letter inlaid fingerboards and getting a more compact version of the active circuit that we used last time. The neck tone control has a push pull pot to put the pickups out of phase with each other for that Peter green sound. 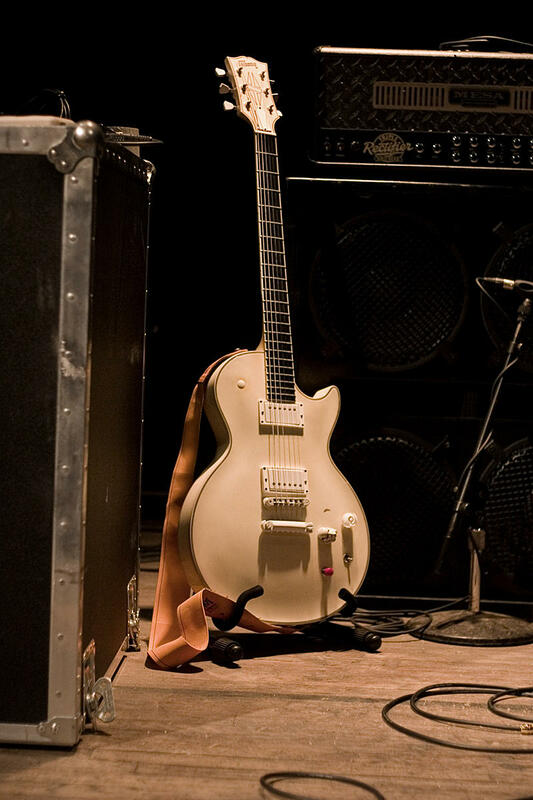 The Tiger has long been one of our most popular guitars. We have 3 models within that range , the Supreme with it's arched flame maple top , the flat topped "cub" and this model lies in between - the Swamp Ash Tiger. This beauty will have a Hipshot Tremolo and sperzel tuners - we've gone with Seymour Duncan 59s in this beast for a classic rock tone.. While we were experimenting with designs for the ML design for our Belgian customer we came up with this beast. We were trying to get a bigger beefier tone out of this design. It is slightly bigger all round as well as being a bit thicker in the body than this type of guitar would usually be. We also put some hollow tone chamber to both keep the weight in check and add to the tonal character. Mahogany and flame maple construction with a Brazilian Rosewood fingerboard- nice stuff! This guitar is up for grabs - so give a shout if it takes your fancy. Here is an interesting hybrid of two different styles - a Fender Jag meets a Gibson Firebird. This unusual beast is an interesting mix of telecaster thinline and Les Paul. Featuring a chambered mahogany body with a flame maple top. Here is a Korina Lion that has been in the works a while. We got started on this one a few years ago when the player it was for got a place at University and asked us to put the build on ice for a year or two, but we got it completed once he came back. It sports a pair of 25th anniversary EMG81 pickups running on 18v and it sounds massive. The silver Metal flake Glowble paint finish gives it a Gretsch silver jet kind of vibe too. The 25.5" scale and 24 Dunlop 6100 frets combined with a slender yrt not skinny neck makes this a beast for shredding on and the tone is somewhere on the brutal side of Zakk Wylde. It's an assault on both the eyes and the ears! Ooh - a lap steel! Recently been taken with a wealth of great lap steel music being played in blues and rock , and I fancied making something substantial to play it on. Whilst this one has a slight Telecaster vibe it features Duncan hot rails and cool rails for a juicier tone, although I am tempted to modify it to put aBare Knuckle Pickups P90 at the neck. You can see the chunky square neck profile that will give great rigidity and tone. Thankfully the lucky husband has been let in on the plans and I can show the work in process. We are slowly introducing the inlaid logo headstocks into our Lion range where we can - just raising the cool factor of what we make. As well as a pair of tasty humbuckers this baby will have a piezo acoustic pickup by Graphtech Ghost to allow acoustic and electric options. Tabby Hybrid - our own take on melting two classic designs into something new. A body shape that says telecaster and yet by altering the profile of the lower horn we are able to utilise a stratocaster pickguard with no modification. The body has strat comfort contours to hug the players body, and an all access neck joint. We decided to mix things up even more by making a pickguard that featured a telecaster bridge pickup – a Bare Knuckle Boss, with a pair of Bare Knuckle Mothers milk strat pickups. We are still debating whether to put a thin steel plate inset on the underside of the pickguard (like Fender did on the Jerry Donahue strat about 10 years ago) in an attempt to give even more tele like snap to the bridge pickup. We have found that there is a lot of interest in stripped down versions of guitars, with a thinner body profile and an oil finish. Our good friends at Blackmachine have certainly carved a niche with their unique creations , and we have always offered a slimmer alternative of our popular Panther model , but usually with a glossy paint finish . Here we have a Southpaw version of our stripped down "Pantera" model. We know how tough it can be to find a good lefty, and we get asked to make quite a few - especially variants of guitars that are impossible to find left handed. Another example of my love for the flying V .
This variant is somewhat of a 1980s style one without a pickguard with the volume controls a bit more strategically placed for easy volume tweaks. I really wanted something specific for the colour of this one - I wanted it to look like an ultraviolet light or like a neon tube. This all mahogany baby is loaded with Bare Knuckle Cold Sweat pickups and the tone is superb - controlled by special 550k ohm pots and Paper in oil capacitors. It has a mix of clarity , balls and attitude. Some of you may know my love of flying Vs, and as I recently found myself without a V of my own since selling the Korina one to an existing customer, I decided I needed something to replace it tonally. What a beauty she has turned out to be both visually and sonically. One is the pearl inlaid headstock logo - the other item which was supposed to be an exclusive for the 20th anniversary was the fingerboard inlays, but I thought I'd like it for this guitar as well. Here is a fab Lion model that features a 3 piece maple neck topped with a thick slab of ebony. We have tried a few sets of pickups in this - we really enjoyed the Bare Knuckle Miracle Man set , but were surprised to find that a Riff Raff set was more fun as they gave a huge amount of versatility to this guitar.